In the fall of 2017, I began planning out my motorcycle trip to the Tail of the Dragon. This is one of the roads in the US that is supposed to be on every motorcyclists bucket list. 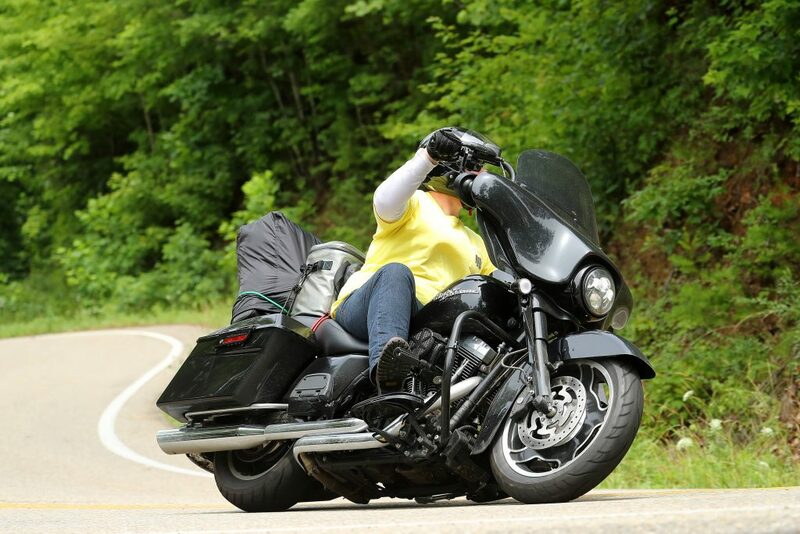 318 curves in 11 miles, it’s everything a rider could ask for, for the most part. I asked my wife if she would want to come with me, keep in mind we had just gotten back from our trip to Yellowstone and The Black Hills on my Softail which isn’t the best distance 2-up bike, and I got a resounding “meh.” Must have been something about not wanting to ride 900 mile days on the back of a Streetglide. Can’t say I blame her. So, I asked a few friends if they would want to go. I got the standard answers of “maybe”, “ask me in the spring”, “probably”, “probably not” and the ever popular “I don’t have enough vacation days.” I quickly realized I was going to be flying solo on this one. In preparation of my trip, I made a few modifications to my 2013 Harley Davidson Streetglide. Basic things like a new seat (the stock Streetglide seat is not great), taller windshield and some wind deflectors to help cut buffeting, fresh tires, and lastly new front and rear ProBeam LED lights from Custom Dynamics to fend off some distracted drivers. These lights are awesome and will be one of the first upgrades I do to my next bike. I also gave the bike a fresh oil change with a Spectro Total Oil Kit to make sure it was running smooth for the 4,000 miles I was about to put on. You can order your Spectro Kit right here. I’ll be putting together a pre trip checklist in the near future as well, so be sure to check back for that. While Google Maps is great for planning the fastest and shortest way between points A and B, it isn’t the best for planning out a motorcycle trip where the goal is to take the curviest, twistiest (is that a word? ), and most scenic roads you can. 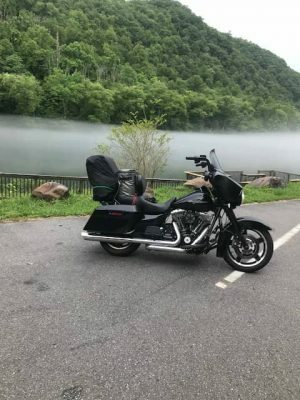 To help my plan my ride, I ordered a couple maps from America Rides Maps, specifically the “100 Great Motorcycle Rides in the Southern Blue Ridge” and “100 Great Motorcycle Rides in the Smoky Mountains”. You can check out their website here. These maps were awesome for highlighting the great roads, the good connecting roads, gas stops, food, etc. I can’t recommend them enough, and honestly they improved my trip so I didn’t have to waste time sitting on the side of the road on Google Maps with spotty cell service trying to find roads that looked like they might be good. On a Tuesday at the end of June, I loaded my bike down with my luggage (I over packed, I’ll address this in my pre trip checklist blog that is forthcoming), tool kit and supplies, and a small RTIC cooler that rides on the passenger seat. The first leg of the trip to Owensboro, KY started out cool and rainy, and ended hot and sunny. Did I mention it ended hot? I rolled into my hotel in Kentucky 617 miles later and about 20 minutes before a nasty storm. 60 mph winds and tornado warnings were in the area, but luckily I had stopped and picked up a few Yuenglings to put in the cooler for my arrival. I sat in the lobby of the hotel with a beer watching to make sure my bike didn’t get blown over in the wind thinking how lucky I got that I beat the storm. My luck ran out on Wednesday. I had a few things to do in Kentucky in the morning, so I didn’t get out of Owensboro until mid afternoon on Wednesday. There was talk of storms building up again so I was trying my best to hightail it to Cookeville, TN for the night. Somewhere between Bowling Green, KY and Gordonsville, TN it went from sunny to dark over the course of about a mile and started sprinkling. My plan was to get to the next gas stop, put on the rain gear, and keep rolling. By the time I got the gear on, the sprinkles turned to an all out downpour with heavy winds, and my phone started going off alerting me of tornado warnings and thunderstorm warnings with heavy wind and lightning. I pulled into a McDonalds and waited the storm out for 3 hours. I don’t mind riding in some rain, but down pours, lightning, and wind will keep me off the bike. It was over a cup of coffee to warm up that I had to really think again about why I enjoy this. Thursday was when the real riding began. I spent four days riding the mountains, and called the Two Wheel Inn home for those nights. 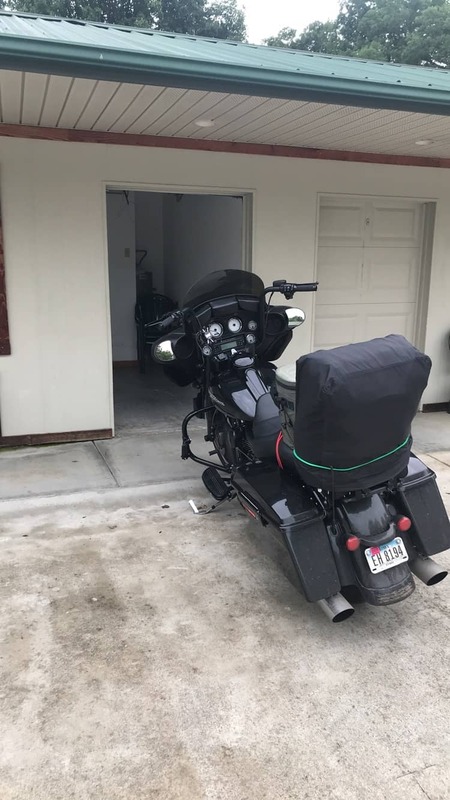 The motel was in Robbinsville, NC and each room had a little garage attached to it for the bike. This place was super affordable for how nice it was. The owners were great; there was a little restaurant on the property that made dinner easy, and everyone staying in the motel was there for the same reason… to ride, and talk about riding. The couple in the room next to mine turned out to be from the town I grew up in so we talked about the days riding each night over a few beers and whiskeys. Keep in mind, Robbinsville is in a dry county (which is a little foreign to us here in the Midwest), so if you want to buy alcohol to have in your room, the closest place is on the other side of the mountain in Andrews, NC. I’m going to review all the roads I got to spend time on based on a few criteria. The main ones I’m going to focus on are road conditions (gravel, potholes, etc), traffic, scenery, and overall experience of the road. I enjoy some spirited riding, and most of these roads were the perfect setting for such riding. Also known as Deals Gap. This road is the main attraction of the area, and pulls people in from all over the world to ride all of its 318 curves in 11 miles. I rode this road three times in the four days I was there. The road surface is in great condition, and the view at the top is amazing (see the image to the right). This is an extremely technical road that can easily get you in over your head. My first trip on the road was around 1:00 P.M. on a Thursday afternoon going West to East. Traffic was relatively light, and I only got behind one rider who was nice enough to pull off and let me by once they had the opportunity. I pushed my Streetglide about as hard as I felt I could safely, and drug the floorboards through nearly every curve. The quick switchbacks with elevation changes made it feel like being on roller coaster, except that you are in control. My second ride through The Dragon was Saturday morning around 8:30 A.M. Traffic was thick and I fell in behind a pair of riders who I don’t think even knew motorcycles could lean. This makes the ride of The Dragon a little more frustrating than enjoyable. The last trip on the road was on my way out of North Carolina Monday morning around 6:00 A.M. right after sunrise. I only saw one other vehicle on the road, and pretty much had it to myself. The road was wet from overnight rains so I took it pretty easy. When I go back, I will be on a more agile bike than a 900 pound tourer, and I will try to get on the road as close to sun up as possible. 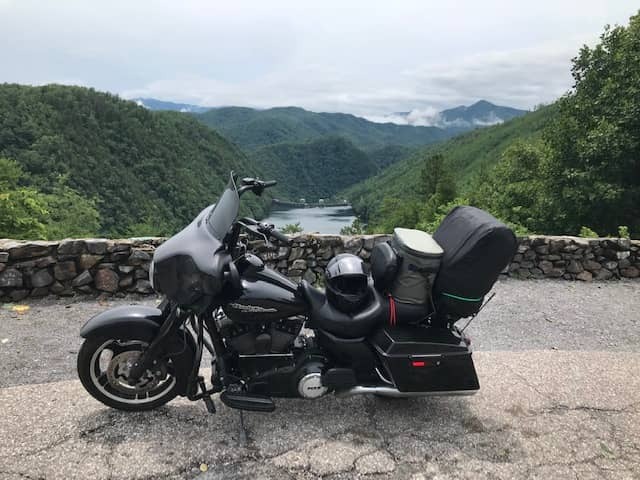 , Fontana Dam, and Fontana Lake were awesome. Road surface was in great condition, however there was some debris in a few of the corners from the storms that went through that morning. I’ll be splitting this blog post into two separate posts as this one is getting pretty long winded. Make sure to check back in a few days for part two of my review. Thanks for reading! Are you looking for a good motorcycle ride for this upcoming three day weekend? 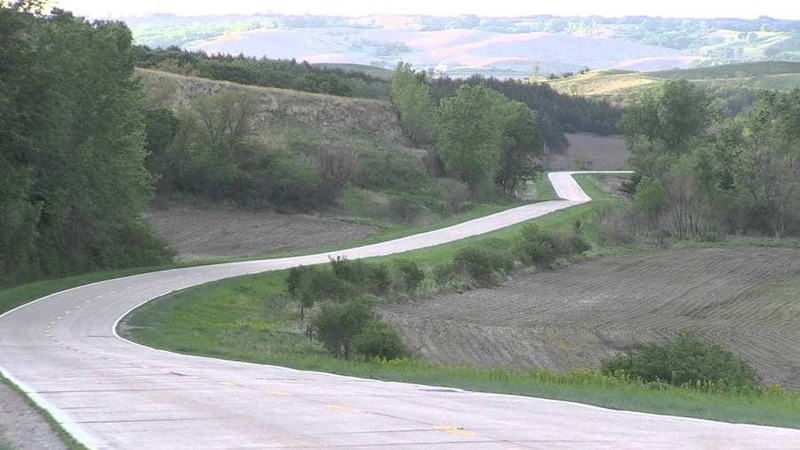 Have you ever been to Iowa and thought, “This state doesn’t offer much in the way of fun and scenic motorcycle riding?” For the most part, you would be correct in that assumption, but have you considered the Loess Hills Scenic Byway Motorcycle Ride on the Western edge of Iowa? The Loess Hills is a geological formation that was formed during the last ice age as the glaciers moved across the Missouri Valley and span from Akron, Iowa into the Northern part of Missouri. This type of formation is found in Iowa and China, so it really brings some uniqueness to the state of Iowa that is under appreciated and not known very well throughout the motorcycle community in the Midwest. I’m no geologist, just a guy that likes good motorcycle rides, so follow this link to learn more about the actual Loess Hills and what they have to offer. Riding the entire Loess Hills Scenic Byway can be done in a day, but unless you are local to the area it may get a little long as there isn’t a great way to get to it if you are coming the East or West. The Loess Hills Scenic Byway isn’t too far off of Interstate 29, so if you are coming from North or South you should be able to get there in decent time. Below is a map of a route from Smithland, Iowa to Glenwood, IA. This ride should take in the neighborhood of 3.5-4 hours, including a couple stops to take in the sights of some of the most beautiful farmland and rolling hills our state has to offer, and a stop in at the Twisted Tail Saloon for lunch. A 4 hour ride leaves plenty of time on each end for the day to make the 2.5 hour trek from central Iowa to the start and finish of the ride. There are also quite a few “loops” off the main byway that are gravel or dirt, and these are supposed to be some of the best roads of the area, so if you make this trip on a dual sport, enduro, or adventure bike make sure you leave your self plenty of time to check some of the loops out. You could even pack all your gear and do some excellent motorcycle camping in this part of the state!